EXCLUSIVE: Australian striker Kerem Bulut could be on the way back to the A-League having negotiated a release from his contract with Greek club Iraklis after growing weary of chasing unpaid wages. The former Australian youth star and Western Sydney Wanderers cult hero is pondering his immediate future after extricating himself from the final year of his two-season deal with the Greek Super League club, with a move to Asia or elsewhere in Europe also possibilities. “I just want to go somewhere where I can focus on football and not have to keep worrying about money and asking 'what’s going on'?,” explained Bulut who, along with his teammates, went unpaid for almost five months this year in what has become an all too familiar scenario in financially-crippled Greece. “It was all fine until January. But after we came back after Christmas, there were no further payments for five months," he said. “It’s the same situation across the whole of Greece, except for maybe Olympiakos. All the other teams, even Panathinaikos, they are always two or three months behind in paying players. "The same would be the case at (compatriot) Terry Antonis’s team (PAOK). 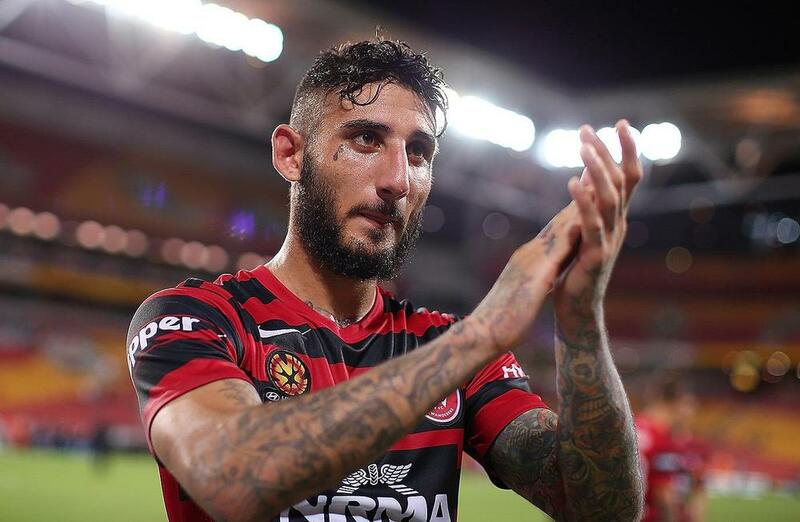 With Bulut determined to return to his central attacking role wherever he goes – rather than playing out wide as he did in 21 appearances for Iraklis – a return to the A-League, where he scored five goals in 13 appearances for Wanderers during his last short-term stint, is a possibility. “I don’t know if I will head back home, go to Asia or elsewhere in Europe but I am not ruling anything out,” Bulut said. “The A-League could be an option; I won’t say 'yes or no'. I am open to everything right now. People look at the A-League, and some say it’s a step down. "I don’t see it that way. It’s a good competition and lots of players have been picked for the national from the A-League, so it’s not step backwards. "Unlike in Greece it's an attacking competition, and I am open to it. I want just to score 12 to 15 goals next season, that’s my plan, wherever I go"
Whatever destination awaits Bulut, playing as a number nine is a pre-requisite of him signing on the dotted line. “All I want to do is go to club and play my natural role. I want to say 'listen, if you see me as a No.9 I will come and play for you', he said. "I don’t care where that is, so long as I am comfortable and happy. I am sick of playing on the wing … I played all year there for Iraklis. "I couldn’t show myself and in some ways I feel like it’s been a wasted year. It was a year for nothing … I played but really what did I play for? It’s not what I want to. "I am 24 now and if I had played in my right position up front, maybe I could have broken through for the Socceroos. But I missed that chance. "I have played for our national team at youth level as No.9 and I played for the Wanderers as a No.9. The same everywhere, except for Greece." While disillusioned with Greece’s no-pay-for-play football economy and the perennial cash flow struggles of its clubs, he lays no blame at the door of Iraklis, adding: “I had a year to run, plus option for another, and while I am happy I have negotiated a release, the club president was always good to me.